Summer equestrian camp. We hire 25 counselors and barn staff every summer. I also have a few full time positions available starting March 1 and a few other positions available from March 1- August. These positions include but are not limited to daily barn work such as feeding and mucking, acting as a counselor when we have groups in, teaching and sometimes riding. 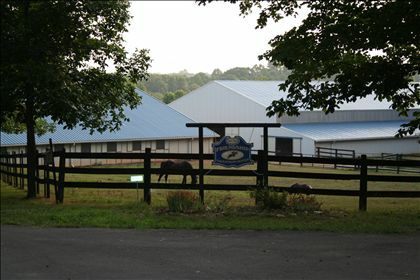 We have over 80 horses, a brand new 88 stall barn with an indoor ring, and 4 other outdoor rings. Check out our website above for more info. Being a summer camp counselor is one of the most rewarding experiecnces there is. It's a great learning experience and looks good on resumes.